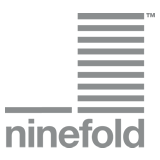 Ninefold has today launched a VMware-based platform on the Ninefold public cloud allowing customers greater choice and flexibility when selecting a cloud platform upon which to run their Ninefold cloud services. Ninefold’s public cloud service (credit card subscription, self-service, usage based competitive pricing & open API) now offers a VMware cloud platform that many enterprises and business already use to support their mission-critical applications – all located and supported from Australian data centres. This offer will afford Ninefold customers greater portability and further optimisation across a hybrid cloud model. Ninefold has purpose built a new VMware availability zone (based on VMware vSphere), aimed at customers who have already invested time and resource in selecting VMware as their chosen application platform, be it for an internal private cloud or hybrid cloud deployment. Ninefold aims to offer easy adoption and time savings for businesses with an existing investment in VMware who wish to leverage public cloud. Moving existing VMware virtual server images into Ninefold’s cloud is straightforward via the self-service “import” feature. Users can also export them back out of the cloud at any time for simple backup or to duplicate in another zone or cloud. Using Ninefold’s site-to-site VPN capability, customers can easily extend an existing VMware private cloud environment out to the public cloud. Ninefold is Australian public cloud computing and storage with locally stored data, free local support, self service flexibility and low latency. This allows you to provision virtual servers and cloud storage quickly - scaling up and down when needed – and only paying for the resources you use.